Temples are sacred edifices, places of holiness, each dedicated as a house of the Lord. Inside the temple, worthy members of the Church are taught eternal truths and perform sacred ordinances that give them a better understanding of their divine nature as sons and daughters of God and their potential to be like Him someday. Temples are different from Church and meetinghouses for worship in their purpose and functions. Sacred ordinances such as eternal marriage and baptism for the dead can be performed only within the temple's sacred walls. Before a temple is dedicated, the public is welcome to view it and go inside the building to inspect the rooms and facilities. 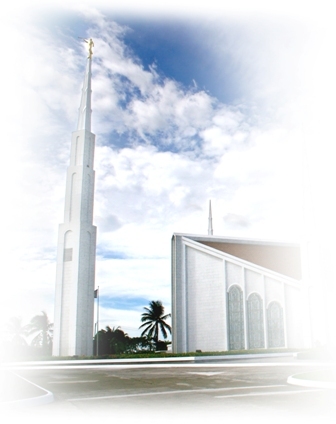 After it is dedicated, it becomes the house of the Lord, a place of utmost sanctity and holiness that only members of the Church of Jesus Christ of Latter-day Saints who meet certain requirements pertaining to worthiness and who hold current Temple Recommends are allowed to enter. A temple is a house of instruction, a house of learning, a house of covenants, and a house of prayer. What happens within its walls is not secret, but sacred. The assurance of eternal blessings and eternal family relationships can only be found in the house of the Lord.